Hi Friends! Welcome back to the blog! 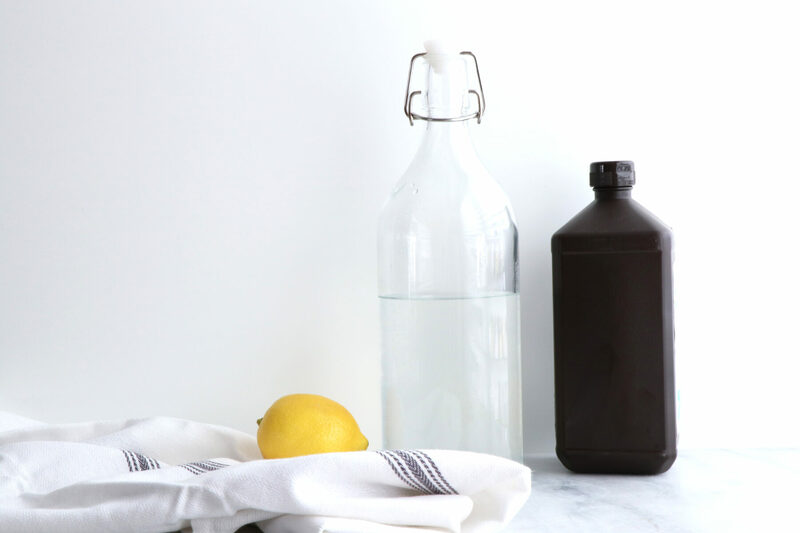 Today we are sharing with you a Natural Lemon “Bleach” Cleaner that will help brighten up all your white clothes and clean throughout your house! Using a large glass bottle, add in filtered water, lemon juice and hydrogen peroxide. Add 1-2 cups of mixture to white laundry to brighten.